I think I am just about recovered. Art in the Pen was simply one of the best events I’ve ever done. It was so well organised and a huge number of visitors came along, a massive congratulations is due to all involved in the event. Barry Foster of Hawksbys art gallery in Haworth, in an act of generosity and kindness so typical of him and his lovely wife Claire, loaded up all my gear in his van and took it over to Skipton and even helped me set up my pen ; stupidly I thought I would have managed it myself, but even with the two of us it still took all day (sorry for the pics, I only had my phone). There wasn’t a single hitch, apart from the main tapestry looking a bit creased after being rolled up, but apart from that all was good. I was thrilled with how the space worked and I feel I now have the set up I need for future events and it is very adaptable to different sized spaces. There were several sales and heaps of interest, and lots of comments about how different my work was. 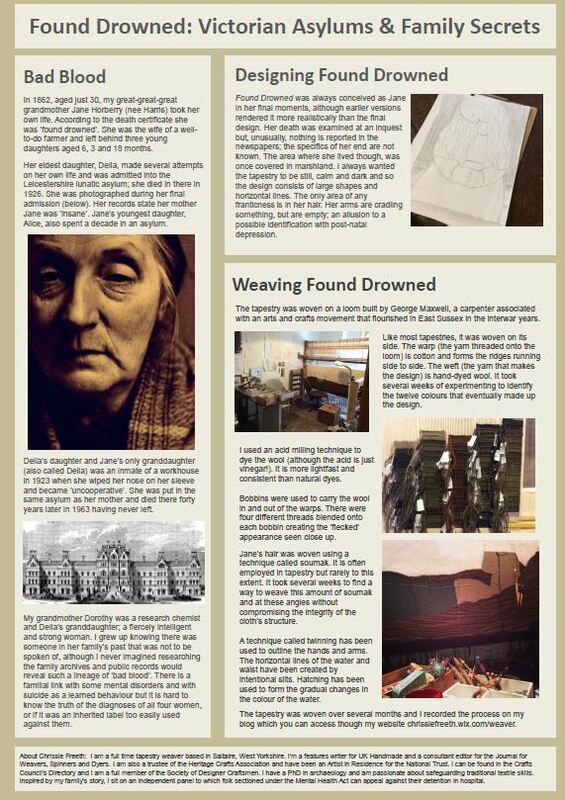 There was a massive response to the poster sharing the story behind the Found Drowned tapestry; I think it touched a nerve with a lot of people. I was really lucky to have two fabulous neighbours. Tony Dexter is an artist whose work couldn’t have been more different from mine, being very bright and vibrant; we were both first-time Art in the Penners and we had a total hoot. On the other side was Hugh Leishman, a woodturner and carver who I had long known by reputation, not least for the kindness of himself and his wife. I was thrilled to finally get a chance to meet them properly. There were many other maker folk there I knew, and the whole event was very social, it was clear the event was much valued by the participants. I am really sorry I won’t be doing Craft in the Pen there later in the year, but I’ll be at the Art Market in Holmfirth. At the weekend I also received the very happy news that I’ve been selected for Crafted by Hand in Masham – again it is an event that is talked about with much affection by makers, so I am really excited to take part. 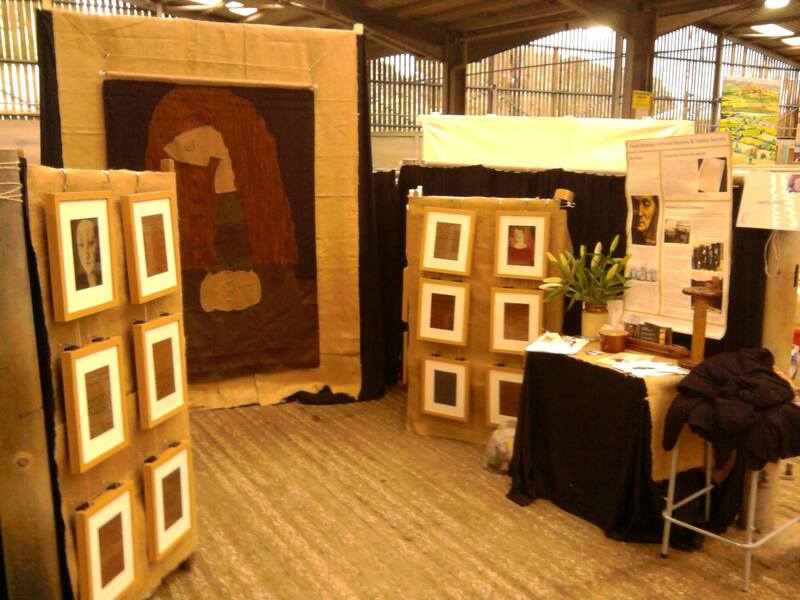 I’ll be there with some frame looms, so there will be plenty of opportunities to have a go. This will be on 1st November. After the event I had a few days genuine breathing space. After a bit of rest, and unpacking, and a studio sort out to make paints and paper and brushes more accessible (and thus more likely to be used! ), it seemed a good time to set myself to experimenting and realising some ideas that have been brewing for a goodly while. I’ve always been interested in the similarities between tapestry and archaeology, that both are slowly made up of layers. This informed much of the new work I exhibited at Art in the Pen and which I talked about in my last post, heavily textured pieces which were inspired by stratigraphy. 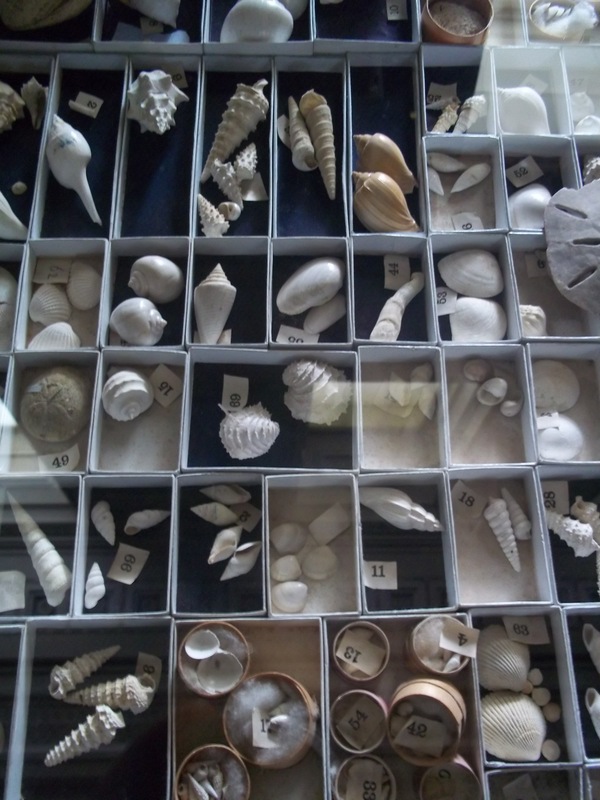 Archaeology is an inevitable pull for me, I’ve been digging since I was a teenager and eventually went onto earn a PhD and spent over twenty years at Bradford University’s archaeology department. I remember reading somewhere that for inspiration one could do much worse than look to what first interested you as a child, because that is something unadulterated. For me, as a bit of a nerdy kid, it was DMVs, or Deserted Medieval Villages, until I came across my first skeleton. These are exactly what they say on the tin, abandoned settlements, often associated with the devastation left in the wake of the Black Death epidemic. All that is left are earthworks suggesting roadways, houses, plots of land, perhaps a church still standing, and usually encased in corrugated fields of ‘ridge and furrow’ left by the ancient ploughs. There has always been something intriguing to me about them and their similarities to one another; the stark lines of their plans hinting at untold lives and stories beneath the surface. I guess there is something about them that also reminded me of the once-beguiling maps found in the end papers of children’s books. I do enjoy the freedom to explore stories which tapestries give me, but the more I’ve been experimenting with textured tapestries, the more I’ve been wanting to realise some of my ideas for abstracts. This has also been fuelled by a visit to an exhibition of Terry Frost’s work at Leeds Art Gallery this summer. 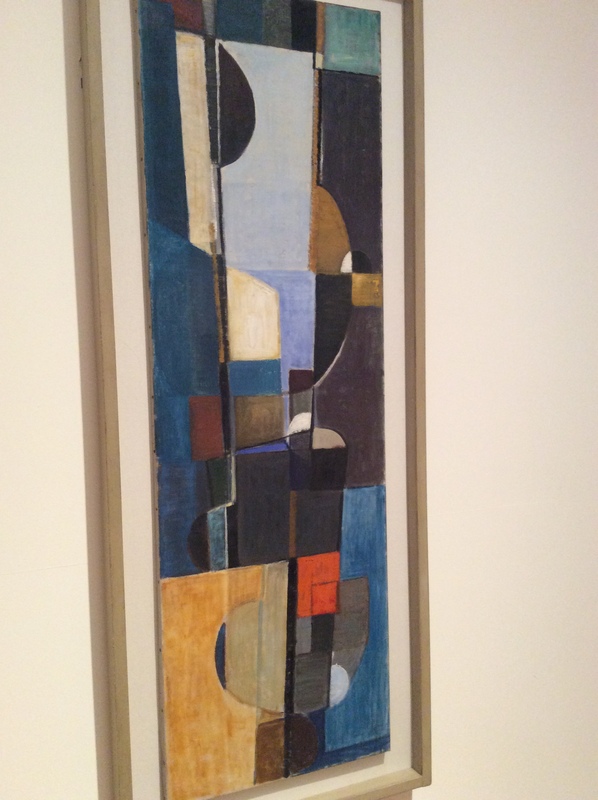 Needless to say I loved the sombre colour palette he often used, especially in his early work, but I also loved the idea that his morning walks at St Ives served as the inspiration for the abstracts, that it was possible to explore something real so abstractly. Further research lead me to his contemporary Peter Lanyon and his interest in aerial views of the landscape. I soon found myself seeking out plans of DMVs and reinterpreting them into abstract designs. I am quietly fizzing with excitement. I feel so much of myself is coming together in these designs, my love of the medieval, of mythology and early literature, my past as an archaeologist, previous attempts to ‘do something’ with crop marks and aerial photography, of untold stories, of the macabre, of colour and shape and mid-century art, and themes such as abandonment and survival. There are so many DMVs to explore, and I am looking forward to investigating other types of site too. I have a lot of work to do, figuring out how I can realise these into large scale tapestries, but my frame looms are warped ready for sampling and I hope it won’t be too long before I am warping up the big loom. What I do know is they will be heavily textured, mirroring something of the shapes of buried structures and ploughed fields. So that’s where I’m heading next, right back where I started. They say you should never go back, but what do they know? Wish me luck! On the 15th and 16th of August, Skipton cattle market will be turned over to 150 + selected artists who will each transform their cattle pen into a pop-up gallery. Art in the Pen is a great event and although I have visited many times, and nearly exhibited there last year, I am finally getting to do it this time round. With Found Drowned finished a fortnight ago, it was time to focus on getting ready. First up, making sure I had enough work. Obviously I have Found Drowned, but I’ll also need lots of smaller pieces. 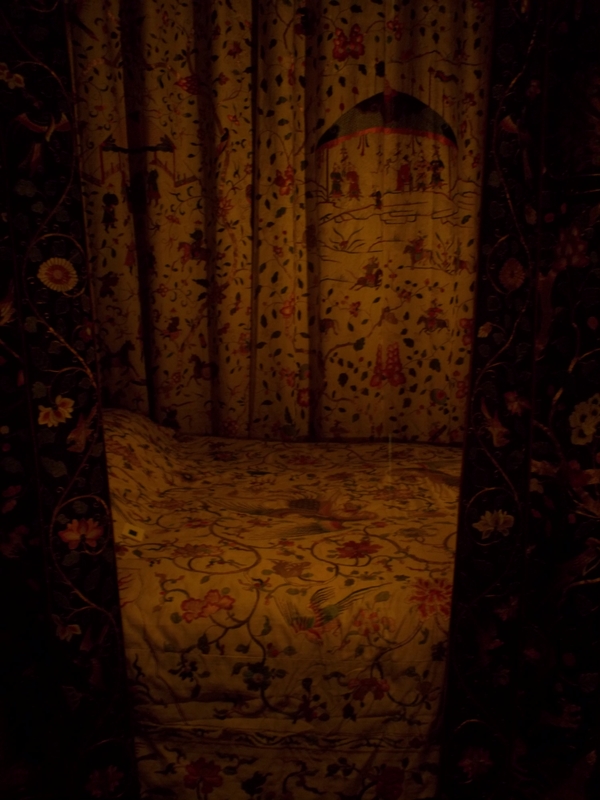 Anyone who is a regular reader will know I do struggle with small format tapestries, I can’t always see their point. I’ve had many a late night ‘Eureka! moment’ over the last few months, but my hopes that I’d finally found a way to make something small that I liked, usually turned to dust in the cold light of day. I was beginning to despair until I flicked through my notebooks and samples and refound a couple of pieces I had made some months back. A Pinterest Spiral of Doom when recuperating after the Arts Trail brought me to the work of Helena Hernmarck, a prolific and long-established tapestry weaver who produces very large-scale photo-realistic tapestries. 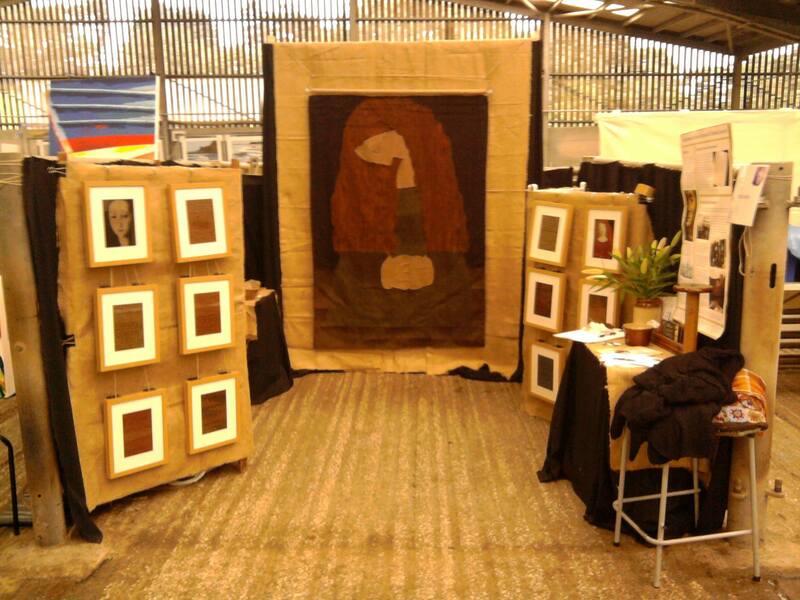 Rather than the standard weft faced weave of most tapestries, her work utilises exposed warps and floating wefts. I’ve always sought to create some element of texture in my work, but the surfaces she creates are very vibrant and organic; her technique also provides unending opportunities to explore and experiment with colour. 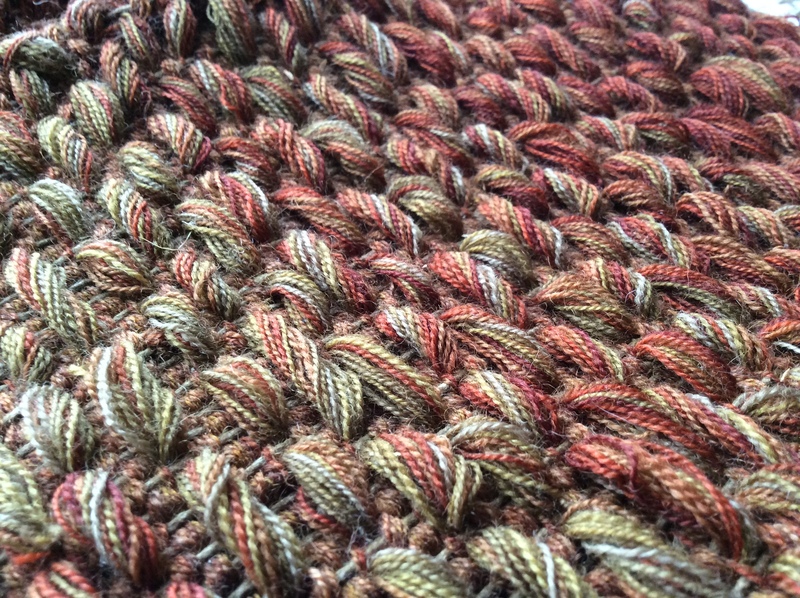 I had a go using her technique, having in mind a large-scale tapestry I had long wanted to weave but couldn’t work out how to do it with any ‘pop’. Although I thought this might be a way, I knew it wasn’t the time and Found Drowned had to be my focus and the samples were put away. I began to wonder if they could be the answer to my small format problem – they did look rather spiffy when I put them in a simple chunky frame, and behind glass they arn’t pretending to be a tapestry, but are something else in their own right. 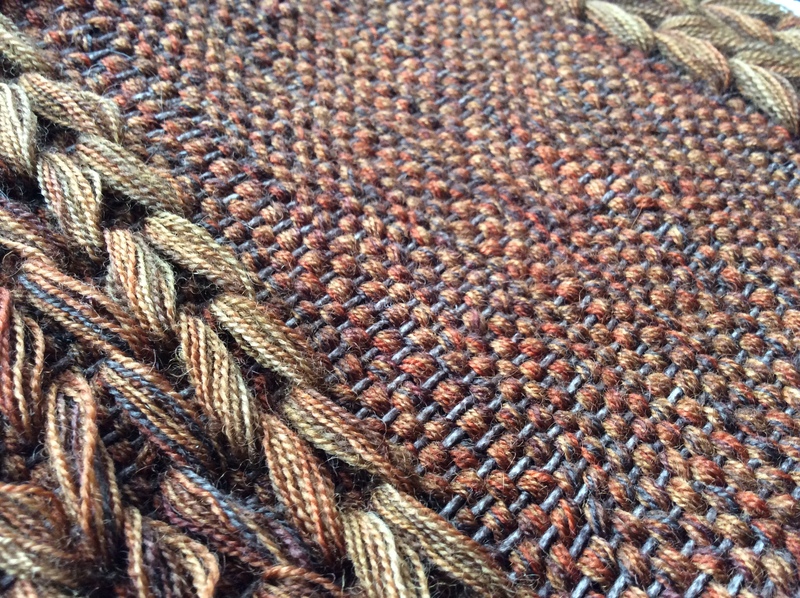 Over the last ten days I’ve woven fourteen pieces and used up the left over warp on the loom. I haven’t seen much of the world except for my workroom, but these fourteen as well as some other samples I had done previously means I have nearly two dozen pieces to show alongside Found Drowned. I did take some time out though, to meet up with friends and fellow AIP exhibitors for a few hours over coffee, cake, lunch, more cake and more coffee, to discuss our ideas for our pens and to get advice from those who have done it before. I came out very inspired and encouraged, and with a clear vision of what my pen will look like, playing to natural and traditional materials and trying to build some structure into the space. I realised too that perhaps I needed some sort of explanation about Found Drowned,; there’s a very specific story behind it and I guess I knew I would only be able to reiterate it a few times before being overcome by an urge to bash in my frontal bone on the metal sides of the pen. You can take a girl out of academia, but not academia out of the girl, and one night I designed a poster which is at the printers now, and which will hopefully answer most questions folk may have about her. The printers are also making me some leaflets in case anyone is particularly interested in my work. 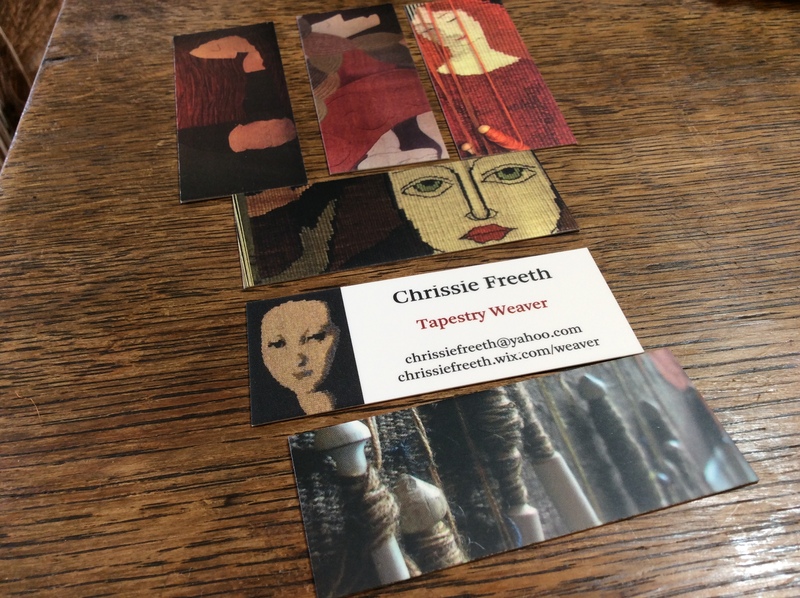 I’ve also ordered some business cards, moving away from the more handmade style that I used for my handloom weaving. 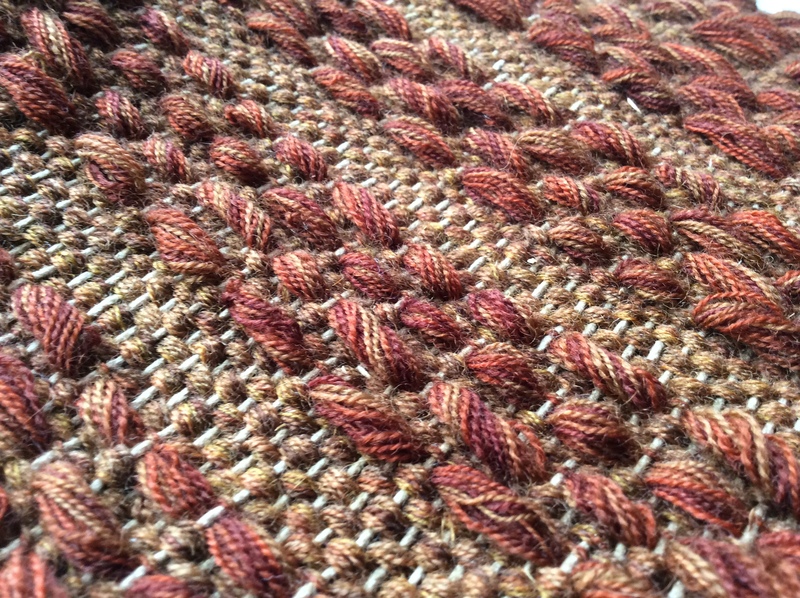 I took Found Downed off the loom this afternoon and still have to hem and line her. Once I’ve done that and all the other things I have to do (I have a Gantt chart which has to stay in my eye line at all times), if I’ve got time I’d quite like to make some more small format pieces, and I really hadn’t thought those were words that would ever be tapped out by my fingertips. I am really looking forward to Art in the Pen, almost like a child before Christmas. This is my first big juried event outside of Saltaire, and the first one as a tapestry weaver amongst other artists, so I guess it is quite a big deal for me. I know there is still a lot to be done, but I am feeling relatively calm and that is in no small way thanks to the support and encouragement of friends and fellow exhibitors, especially Jo at Glassprimitif, Tracy at Ruby Spirit Designs, Liz at Inkylinky and Paula at Wychbury Designs. If you want to see who else will be there, do check out the brochure of exhibitors here. I’ve had a fabulous few days with family in Leicestershire. On Tuesday my cousin-in-law (is that a term? Actually my first-cousin-once-removed-in-law) and I visited the King Richard III Visitor Centre which seeks to explore the life of the king and his discovery back in 2012. It was basically text on a wall with a half dozen objects including a high vis jacket and a microphone. Is that really how museums are heading? I have to say I left none the wiser and not terribly inspired. For the price of the entrance fee one might as well have just bought a book – there would have been far more information, and you could have read it at your convenience and repeatedly. A totally different experience awaited us the next day when we visited Calke Abbey, a National Trust property left pretty much how it was when it was handed over in order to demonstrate the decline of the country house in the twentieth century. 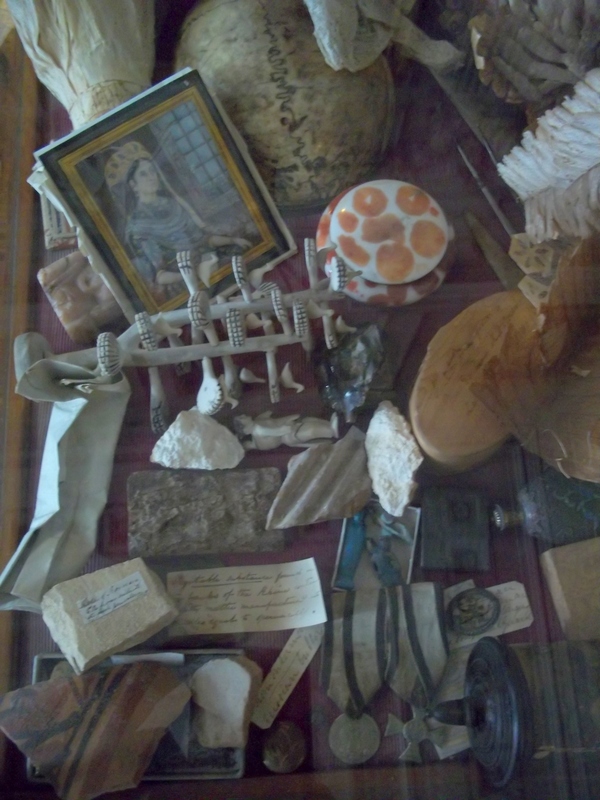 It was owned by several generations of kooks and recluses including a collector of taxidermy and natural history, much of which has been left as they were displayed, jumbled in glass cases with handwritten labels (pics above and below). I can’t help but feel this was far more inspiring than a bit of text and it certainly makes me want to find out more and visit again. We became rather fond of Nanette Hawkins, a lady’s maid who married one of the baronets (you go, girl!) and amongst the junk that had accumulated over the years in what was once her bedroom it was not hard to spot a boudoir spinning wheel. But the most stunning thing at Calke was an 18th century state bed, never unpacked and still crated up until it was recently discovered and put together in very tightly controlled environmental conditions (hence the dark photo). The colours were of course entirely stunning and a stark reminder of how faded the textiles are that have been left to us. 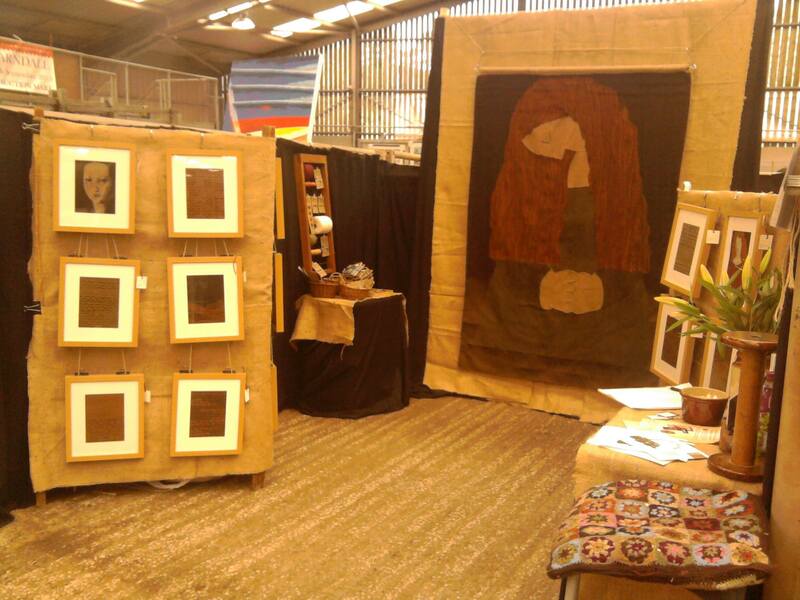 On my last day yesterday I stupidly took a tumble down the stairs and twisted my knee but nothing was going to stop me visiting Art in the Pen, a cattle auction mart in Skipton turned over to artists this weekend. I was so thrilled to have been accepted as an exhibitor but when it looked like attempts were afoot to buy Maides Coign I realised I could be left with little to show and had to pull out. 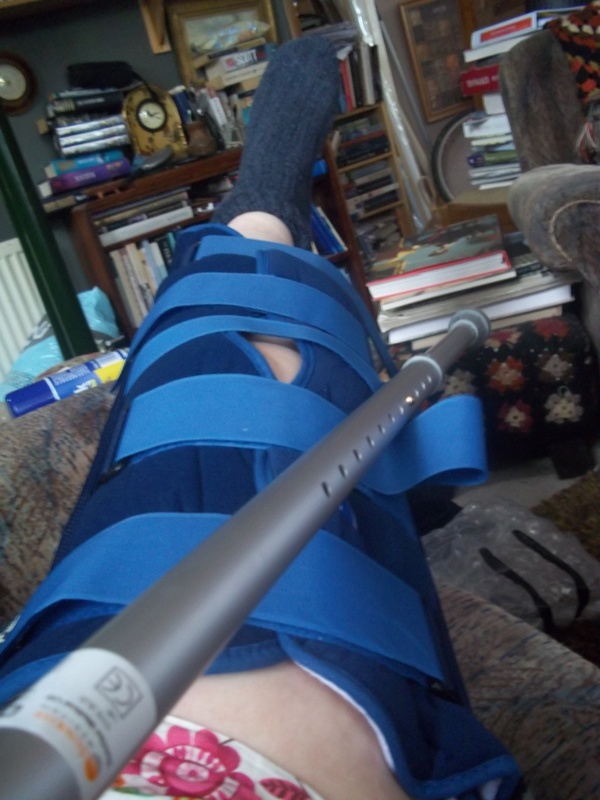 Armed with a vintage crutch dug up from the cellar, I had a great time; it was amazing to see so many fabulous artists ranging from printmakers, painters, potters, sculptors and jewellers all under one corrugated roof. Many exhibitors are members of Craft Soup, a Facebook community for designer makers in Yorkshire and you can see a selection of the work on show at Skipton over here. It is on all weekend and certainly worth the visit. 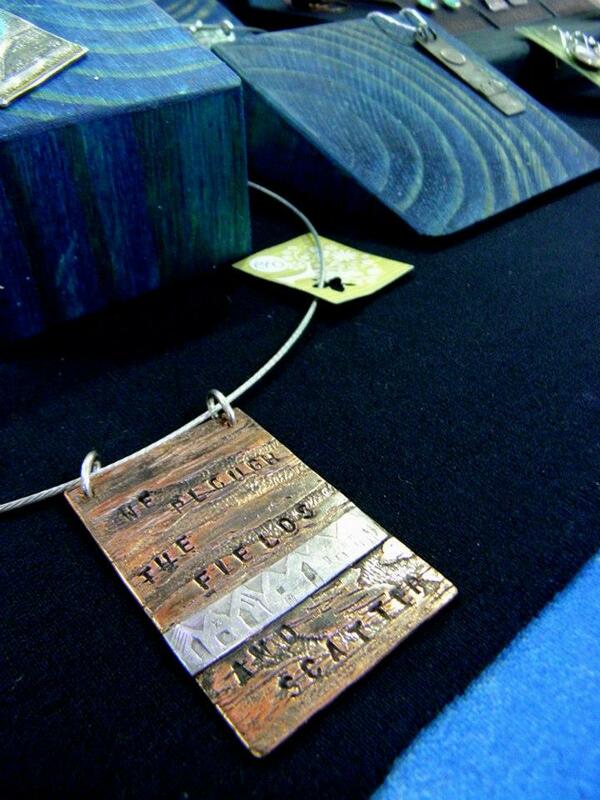 Below is a snap by Paula Perrins of a piece from the display of talented jeweller Liz Samways aka Inkylinky jewellery.